The East Wing was the former guest wing of Noddsdale House and now is a delightful and very characterful holiday home for up to 4 people. One word describes our stay at Noddsdale..... MAGNIFICENT. We had the most wonderful stay in the East Wing apartment which was beautifully appointed, spotlessly clean, extremely comfortable, warm & homely. Every little detail has been thought of with many special touches including complementary delicious home made shortbread and fresh garden flower arrangements. We highly recommend a holiday at Noddsdale. Thank you so much! So glad you enjoyed yourselves. Lovely place! Charming and warm interior. Fully equipped kitchen including coffee. Wonderful and helpful hosts!! Would like to come back. We loved meeting you all and look forward to the next time! Thank you for coming. 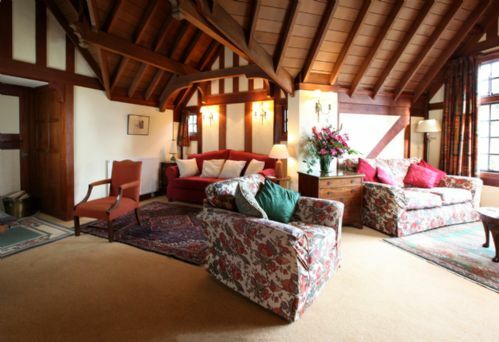 We would highly recommend the East Wing - it's certainly one of the best self-catering properties we've ever stayed in. Spacious, extremely comfortable, beautifully furnished and very well-equipped. The main living room is fantastic - and I must mention the bed, which was possibly the most comfy I've ever slept in! It's the sort of place you'd happily (as we did!!) spend rainy days just relaxing, reading and enjoying the peace and lovely views. Location is great - you feel away from it all yet it's only a short drive into Largs. Or you can take walks right from the doorstep, giving lovely views out over the islands. Jane and her parents are warm and welcoming and make you feel very much at home. A really lovely place for a holiday! We are so glad you enjoyed yourselves in the East Wing AND that you loved the comfy bed!! It has been a great success. Thank you for coming and loving it. 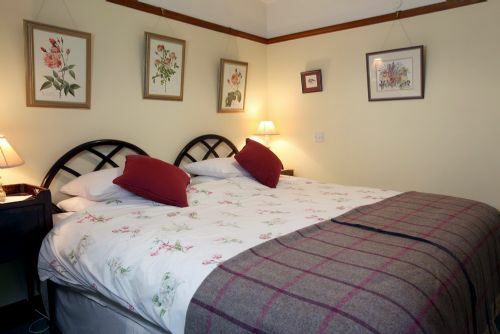 So comfortable and a great location - close to Largs but a feeling of being in the country. Thank you so much and so glad you love the East Wing as much as you do! See you before too long I hope. 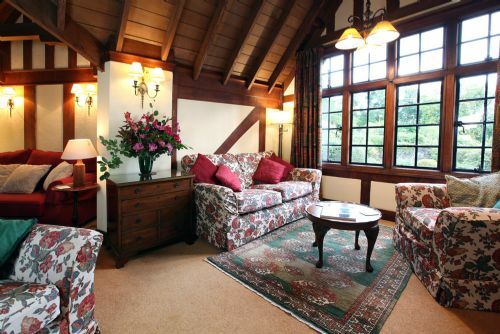 Beautifully furnished, lovely surroundings nice welcome. Peacefully remote . A fascinating history. .. Thank you for your review and glad you liked it! Thank you Iain! I am glad you were happy with your choice and that you had a great wedding. This is a perfect apartment for a most relaxing break in a beautiful area. It has everything you could possibly need and we spent a lovely 5 days here surrounded by peace and tranquillity. The owners made us feel welcome and were kind and courteous throughout our stay. I would highly recommend a visit to this property. Thank you so much for your lovely review. We are delighted you enjoyed the peace and quiet of the East Wing. Hope to see you again sometime! After 8 years of traveling to Scotland, England and Ireland this holiday letting is one of the best we ever had. There is everthing you need in very good an clean condition. Brilliant view to the Loch and the beautiful garden with pheasants and a bed, which is worth its name. Thank you. Great that you love coming here and were comfortable too...that's good! Hope to see you again sometime. We returned to Noddsdale for a second visit because our first experience in 2016 was so enjoyable. We were just as pleased the second time. The East Wing is full of character is very comfortable. It was so relaxing to be able look over the lovely gardens and watch the small ferries sail to and from Cumbrae. We would have no hesitation in recommending the East Wing for its facilities location and the warm welcome we received. Thank you so much - haste ye back! Best beds. Noddsdsle lead the way in quality bedding. Thank you for your great review - so glad you were comfortable! 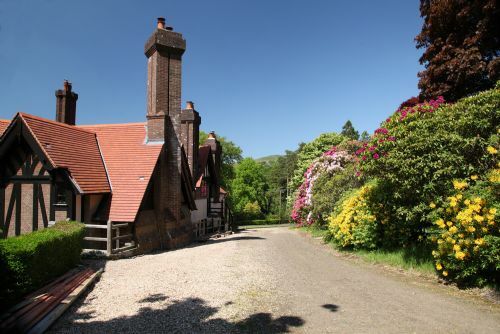 Beautiful property in a fantastic and tranquil setting, perfect for exploring Largs, Isles of Bute, Cumbrea and Arran. Thank you for coming back! Glad you enjoyed your stay. A holiday stay that has the wow factor! 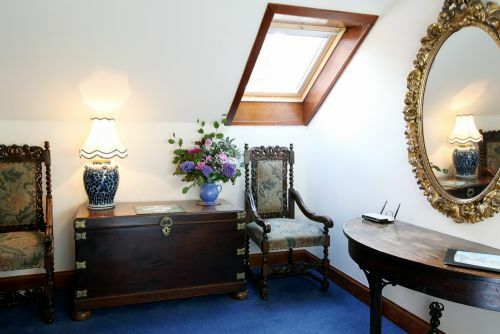 Jane's home is a brilliant mix of the older, quieter, comfortable British way-of-life combined with modern facilities. Its 'get away from it all' but not remote. Superb grounds for wandering around and only a few minutes drive into Largs for shops, restaurants and tourist facilities. Not to mention, close proximity to the many ferry ports for the Firth of Clyde islands - we managed 4 trips in our 7 day stay. Thank you so much for your review. We are glad you enjoyed your stay and managed so many ferry trips too....excellent! 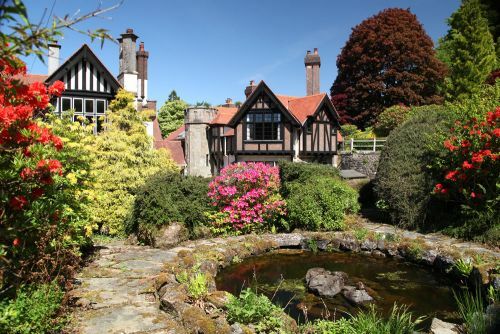 A stunning property in a beautiful setting with a very warm welcome. We have just spent a lovely week in the East Wing at Noddsdale House. From the initial emails to those received since coming home we have been made to feel welcome and almost like friends of the family. We were greeted warmly by Jane and Elsbeth (daughter and mother) and Jane showed us round the property and explained everything to us. There was milk in the fridge and a plate of delicious shortbread and flowers on the table. The property is spacious, beautifully furnished with period pieces and pictures, but with a modern and extremely well-equipped kitchen diner. The bed is very comfortable with a firm mattress and extra pillows and blankets if needed and there is lots of storage space for clothes in the bedroom. The shower over the bath is powerful with plenty of hot water, and there are big bath sheets as well as smaller towels. The kitchen is as well equipped as mine at home, maybe even better, and we appreciated the dishwasher. The owners have also provided lots of little thoughtful extras, such as a torch and a pair of binoculars by the front door. The gardens are beautiful and there are great views from the lounge and gardens across to Great Cumbrae. We watched the ferry going to and fro from the ferry port at Largs to Great Cumbrae, and when we visited Great Cumbrae we could pick out the roofs of Noddsdale House amongst the trees in Brisbane Glen. Largs is easily accessible and there are also great walks to be had from the front door of the property. We had rain for 4 of the days that we were there but with such a beautiful and comfortable place to stay (and the Olympics on TV) we didn't feel too hard done by. We would love to return and shall be recommending the place to friends. Thank you so much Lindsay! It was lovely to meet you both and really glad you enjoyed staying in the East Wing. Thank you so much for your lovely review. We look forward to your next visit! A lovely place, in a beautiful setting, with lovely owners. This was our second visit, and is unlikely to be our last. Make sure you take the Old Largs Rd if you are coming via Greenock - it is stunning. Thank you James! I hope you do manage to come back sometime. We look forward to it. This was our third time here and what can we say - the attention to detail is excellent, the East Wing is beautifully decorated and furnished and the kitchen is very well stocked. The fresh flowers and home made shortbread are lovely touches. Lovely to see you again and thank you for your enthusiasm! Noddsdale East Wing is honest accommodation in the side wing of this grand home. Jane was very easy to deal with in the booking and stay process and it was lovely to meet Elspeth. Set in a beautiful garden our stay was quiet and comfortable as were the bedroom and furnishings of the main living room. Whilst well equipped, Jane's plans to refurbish the kitchen etc. will only enhance and unify the amenity. Thank you for the warm welcome. You are kind - thank you so much. We enjoyed meeting you briefly and the kitchen is in the planning! The East Wing has everything, and more, you need for self catering. It is elegantly homely, so much so, we felt like VIP guests ! A memorable visit. Would love to return. Thank you very much - we are so glad you felt at home! A friendly, comfortable apartment in lovely gardens. Spent a lovely five days here - weather couldn't have been much better! We found it easy to get to a range of places from the house. 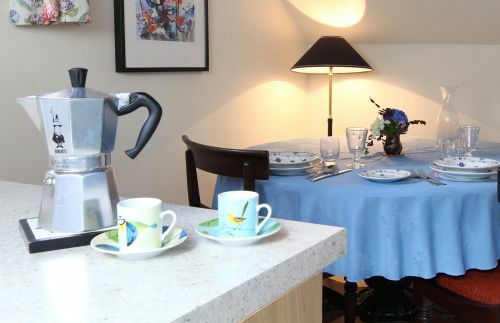 The location is good - close enough to Largs for restaurants and shops but far enough away to feel you are out of town. Thank you for your review and hope to see you back one day! This property is excellent to stay at rainy and at sunny days. Stunning view from the sitting room to the sea. Well located outside the town, but close enough to get fast into it. Very glad you had a comfortable time! The Noddsdale was an excellent place to stay during our trip to Scotland from America. 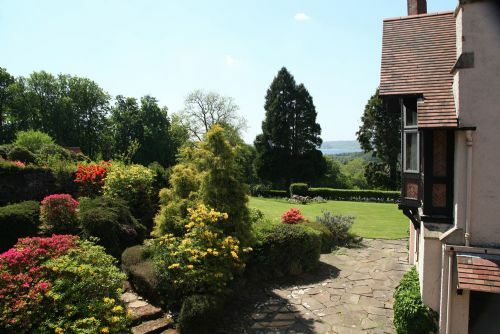 The setting was stunning, with rolling green hills, flowers everywhere, and a beautiful cottage to view it all. The location was great with about a 2 minute drive to town. The cottage was picturesque inside and out. They had everything you could of think of that you'd need and want, and very spacious. Our favorite room was the living room where we enjoyed the fireplace at night with a book - very cozy. The cottage was very clean with comfortable beds. And, Jane was a wonderful host who had excellent communication throughout the trip planning, during, and after. She really made us feel welcomed in a new country. Wonderful place to stay and would love to come back some day! We highly recommend! Thank you so much - it was lovely to meet you both and we are so glad you enjoyed your time at Noddsdale. We stayed for one night, and loved it. It is a lovely place in a beautfiul setting. Moreover, the communication from the owners was fantastic - including email contact before our stay to enquire after our needs (resulting in the provision of a birthday cake and other supplies). Highly recommended. Thank you! We are glad we could help make the birthday celebrations special. Come for longer next time! Four of us stayed two nights on a stormy weekend in June. 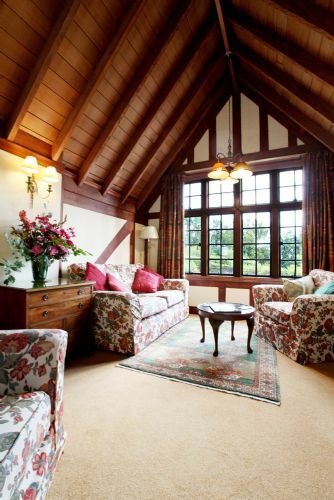 The East Wing is steeped with character and you feel at home from the moment you arrive. We were greeted so warmly and nothing was too much trouble, or hadn't been thought of. 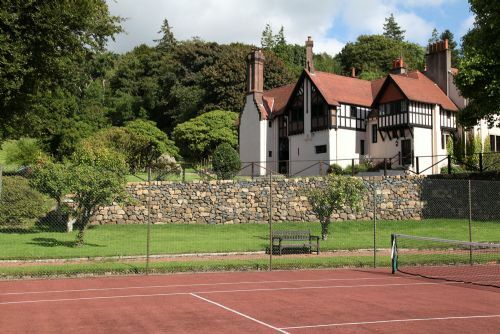 Tennis rackets tucked into the stand in the hall and courts in the grounds, a perfectly equipped kitchen and the fire in the amazing sitting room was ready for a match to be struck. Outstanding views from the windows and the azaleas were a sight to behold. 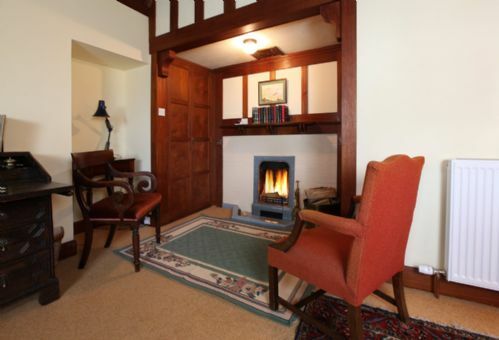 However, we would feel equally as happy here snuggled up in the depth of winter with the fire lit and a good book. Just don't book when we want to be there, for we most certainly will be back! Thank you so much and we are delighted you enjoyed your weekend. We look forward to your return visit! The loft is beautiful (especially the woodwork) and we loved the fireplace! Really is a great place to relax and de-stress. Overall it is top-notch! So glad you liked it and enjoyed the calming qualities! Noddsdale is a gem located in the hills of Ayrshire a few short minutes from the beautiful town of Largs. In the sunshine it sparkles, and when the weather turns it is a welcome refuge. For someone who began his life in Scotland, visiting the UK feels like coming home - and Noddsdale is a big part of that." Thank you for your lovely comments. So pleased you feel the way you do! We loved the East Wing at Noddsdale Estate. The owners were so thoughtful and made us feel very welcome. The apartment was extremely comfortable with everything needed for 2 people. The lounge room was a delight and we spent a lot of time here. The location just out of Largs was perfect for touring the area and visiting Glasgow. We would highly recommend Noddsdale Estate and plan to return in 2016. We are so glad you were happy in the East Wing and that you plan to return - excellent news! Many thanks. Location in detail corresponding to the informations in internet. All the facilities in the house are functioning. The landlords are markedly friendly and supporting to make the stay comfortable. House and landlords are likewise charming. This location can be recommended without exception. Thank you so much. It was lovely to meet you all and we are so glad you enjoyed your stay. An excellent stay in really comfortable accommodation. 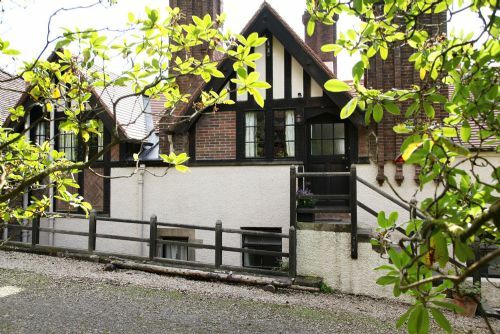 The location meant that within an hour’s drive we could be at most of the area’s places of interest, yet was far enough from the town to provide complete privacy. Easy to relax in the beautiful garden and we were made to feel truly welcome throughout our stay at Noddsdale. Genuinely a winner ! Very glad you found us and enjoyed your stay so much. Thank you for your lovely comments. Thank you! We are so glad you like the East Wing and enjoyed the peace and quiet. Thank you for your positive feedback. It is good to know!